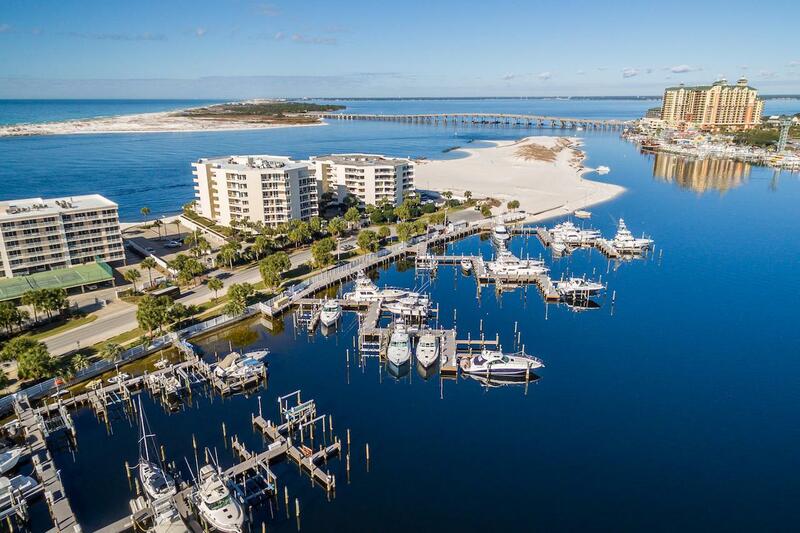 DEEP-WATER BOAT SLIP included! 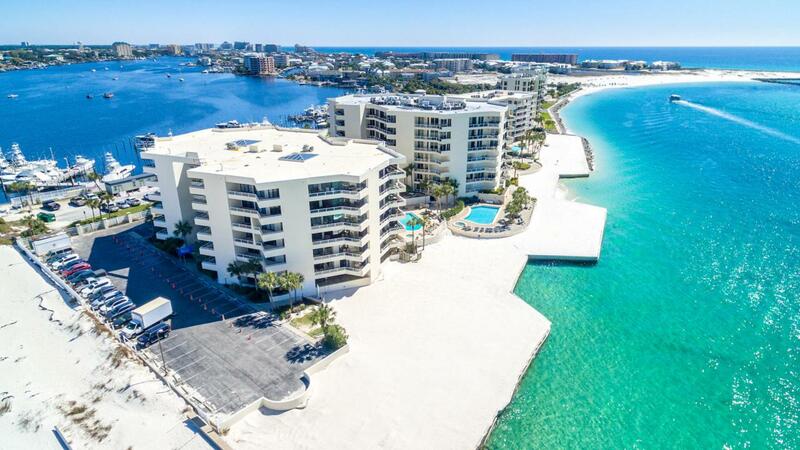 Beautiful fifth floor condominium with unparalleled views of Destin's jetties and East Pass with a boat slip on the scenic Destin Harbor! Floor-to-ceiling windows and a covered balcony run the entire length of the open living/dining/sitting room. A large pass through area to the kitchen and the wet bar in the living area make it an excellent setting for entertaining. The kitchen features an island, large pantry closet, lots of cabinets, and a brand-new stainless refrigerator. The split bedroom floorplan includes a bedroom with ensuite bath and dual sinks on each end, plus a smaller bedroom (or office/playroom/project room) and nearby bath. 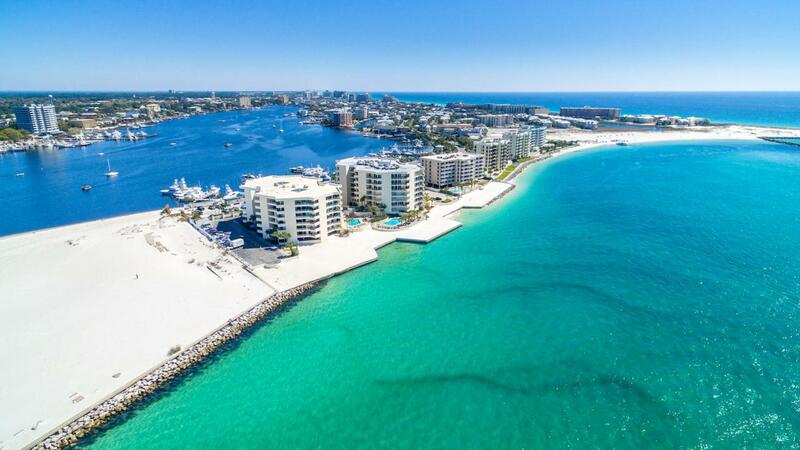 East Pass Towers II is a gated community on the western end of Holiday Isle which offers a private...beach area, pool/spa and fitness room. 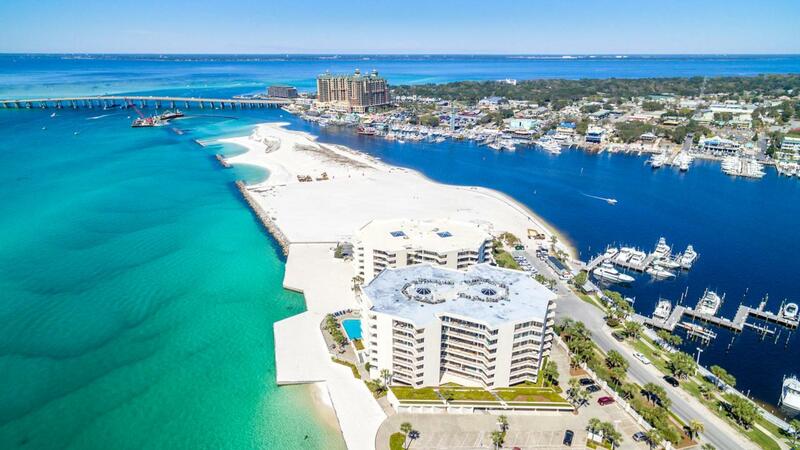 The private marina, which was entirely rebuilt in 2017, enjoys the quickest access to the Gulf of Mexico on Destin Harbor. The boat slip includes a 30,000 lb. boat lift. Buyer must verify all specifications and information.